This week of my pregnancy started on Father’s Day! We have a lot of extra stressful stuff going on at the moment so this week was one I was keen to get through. I didn’t have any pregnancy related appointments this week so that was one less thing on my plate! I have felt the baby move a lot this week and she’s about the size of a grapefruit now. On Father’s Day we managed to not have to leave the house all day! My father in law came over in the morning and then we facetimed my dad in the afternoon. It was nice to catch up with them and be able to say thanks for being awesome dads to us. I did manage to clean all of the windows and window frames in the downstairs of our house in the afternoon. I’ve been needing to do it for a while now and it seems nesting has begun! It took me more than two hours to do downstairs so I plan on finishing it off upstairs next weekend. I’m getting really close to getting all of my study done for this intake. I submitted my second to last final submission for this lot of papers this week and now I only have one left to go! My diploma has been really intense in this intake and it’s taken over a bit. 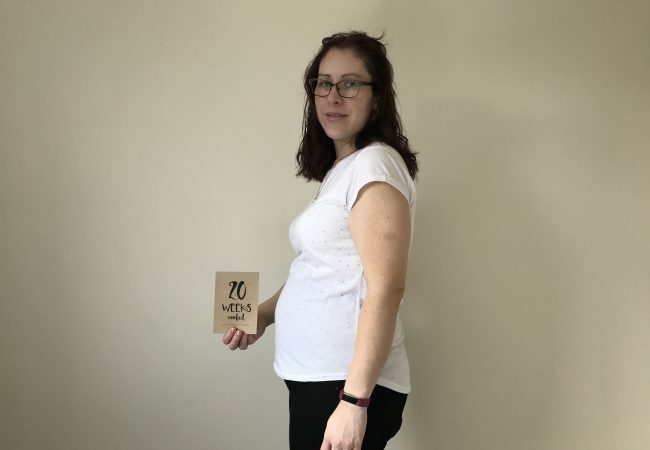 Unfortunately, it’s been my blog that has suffered, I’ve still managed to post twice weekly but it’s been mainly pregnancy stuff and I had been trying to avoid that and keeping up my bariatric posts. My car decided to start trying to overheat this week and gosh I have had enough of stuff breaking/breaking down and needing to be fixed. Thankfully, the place it was booked into got it serviced and fixed in one day and it didn’t turn out to be a big inconvenience. It did mean another hit for the bank account, but that’s been never-ending this month! I’m hoping everything is breaking down now so that when I’m on leave next year and we only have one income things might just chug along for us. We had a rare date night this week! My husband and I went out for dinner and a movie together and it was really nice to spend some time together and for me it was nice to have a night off cooking. My husband has had some health stuff going on and there was a small possibility it could have been cancer but we got news today that it isn’t and have a clear plan to deal with the issue. It was nice that stress has been lifted and it gave us more to celebrate than just a normal night out. We had a not so busy weekend planned but it ended up being a bit nuts. On Saturday I went to see my grandmother in the morning and ended up setting up her new internet router for her, I only had to ask my husband a couple of questions whoo, and I planned on going and writing the final bit of my final exam on Saturday afternoon. Our friends had some stuff come up and they needed a hand so we rearranged our plans to help them out. I ended up getting all my windows done upstairs and finished while the kids played. How far along? 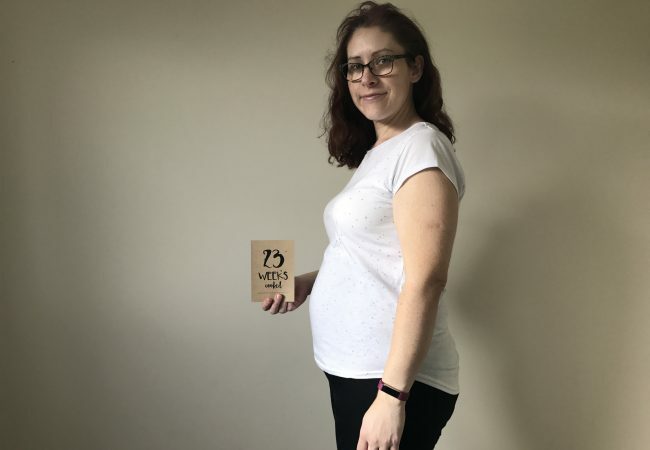 23 weeks now! How big is the peanut? About the size of a grapefruit. 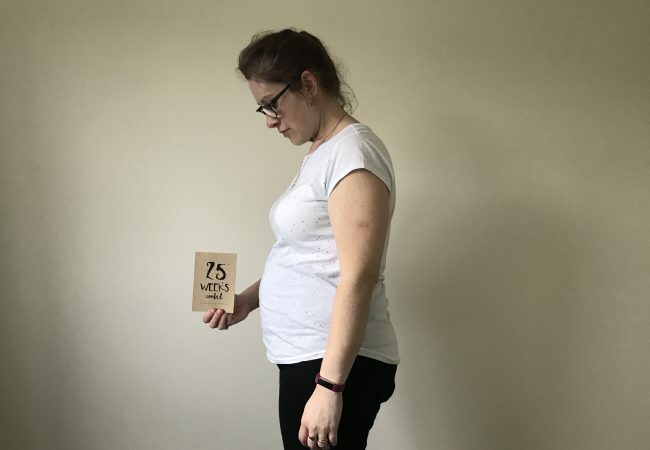 Total weight gain/loss? I forgot to weigh myself this week but I imagine it went up again this week. Sleep? My sleep was a bit all over the place this week but more bad nights than good. I’m starting to get uncomfortable again as my tummy gets bigger and it’s really not comfortable lying on my back for any length of time now. Best moment this week? Getting the good news about my husband! What I miss? This week I’ve really fancied pate but of course it’s something I need to stay away from until this baby pops out. What I’m looking forward to? Going up to stay at my parents’ house next weekend. I haven’t seen them in ages and Mum is super keen to try and feel the baby move! Bump? My bump is getting pretty obvious now. I’m not going to be able to wear my favourite hoodies for much longer. 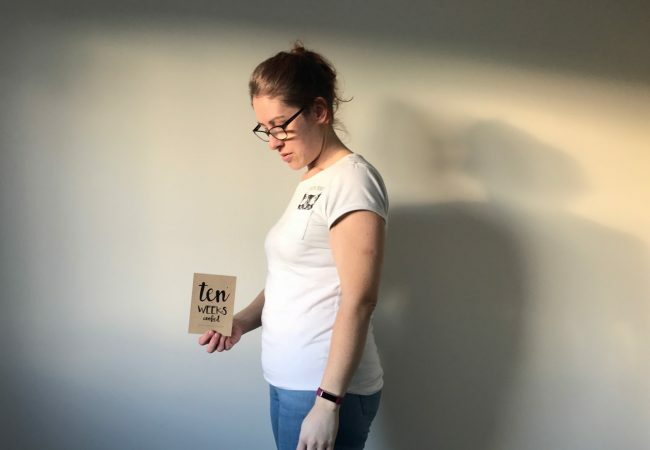 Next Post: One of the strangest WLS NSV’s!